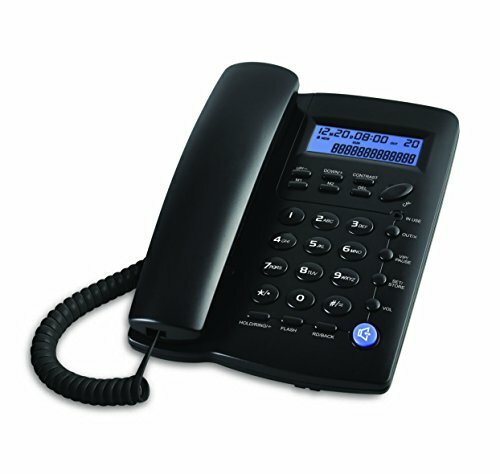 Y043 Caller ID Table Phone - 1-Line Integrated Phone System. Easy to set up - Connect the phone to your RJ11 telephone jack by the phone line included in the parcel, still work when power outrage. Caller ID/Call waiting - Handset displays the number, time and date. 28 groups of incoming calls memory; 5 groups of outgoing calls memory; 2 groups 1-touch speed dial memory. Speakerphones button makes hands-free conversations easily. Music on hold. 5 levels of large display contrast adjustable; AAA battery provides back light for easier viewing in dim light. 4-step Programmable Ringer Volume adjustable; 8-Ring melody selectable; 3-Progammable Alarm clock settings; More details in the manual. View More In Telephones & Accessories. If you have any questions about this product by Ornin, contact us by completing and submitting the form below. If you are looking for a specif part number, please include it with your message.